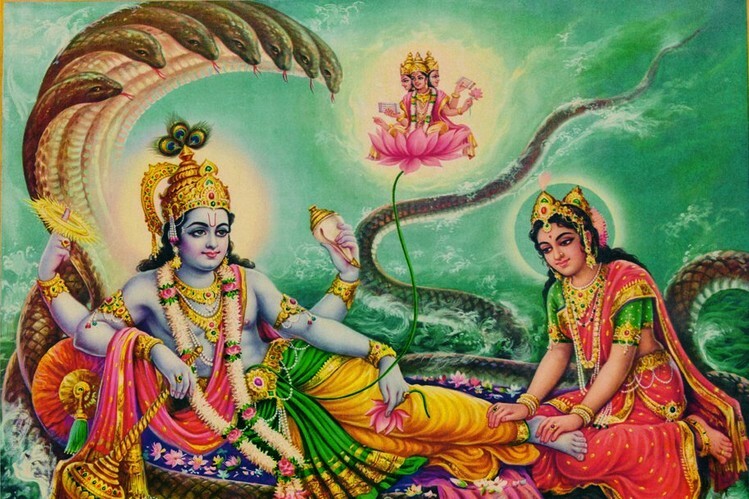 Why Were The Male Heroes 'Masters' Of Both Women And Nature In Hindu Mythology? Why Were The Male Heroes ‘Masters’ Of Both Women And Nature In Hindu Mythology? The subordination of women finds expression in ancient Hindu myths that have been a part of our childhood storytelling. These moral stories use nature as a metaphor for women, and use this relation as a justification for their control. Patriarchy, hence, manages to seep into tales of love, devotion, and loyalty too. The forest has been prominently featured in Hindu myths. It was the ‘jungle’ that acted as a stage for the conflicts between the gods and asuras. The forest was always the arena in which people had to reflect on their actions, repent for their sins, live out their punishments and then finally attain moksha. Nature was seen as apart from the civilisation and culture of Hindu mythology. It lurked in the background, as an unpredictable force and as a space for those living outside of society. It was never in the foreground of human thought. The mystical rites mentioned in the Aranyakas and the institution of the gurukul denotes the special but distinct position of the forest. This also brings to light the association between nature and culture. In Hindu stories exiles were always carried out in the jungle, the demons always emerged from the forest and going into the wilderness was nothing short of suicide. This conception of nature as an unrestrainable force and as an entity that would fulfill needs is dominant. This, in my opinion, is not unlike the position of women in Hindu mythology. Sherry Ortner in Is Female to Male as Nature is to Culture brings to our notice the superimposition of the nature-culture binary onto feminine and masculine roles. The supposed proximity of women to nature is because of their ability to reproduce. A woman’s childbearing ability and her intimate contact with an infant (who is not yet a part of society) brings her closer to nature and pushes her further away from artificially created culture. Culture, on the other hand, is all that controls and allows society to function. Nature is tempestuous and unpredictable and ought to be harnessed to be of any use. The myths use this scaffolding to give their plots a gender dimension. The woman of the Hindu myths is never acceptable in her individuality but only as her husband’s property. Nature, too, is wanted only as a natural resource. The Ramayana – the household friendly story of a perfect man and his pious wife – represents the association of women with nature. In Hinduism, Sita has been most fervently roped into the erroneous representation of a feminine nature. Since multiple kandas of the Ramayana are set in the forest, it presents ample opportunity for Sita to be depicted as a nature-loving goddess. Considered to be a daughter of the earth or Bhumija, Sita is easily placed in the natural category. Her very being came into existence without human action. She was nature in its pure state. In Devdutt Pattanaik’s Sita he states that when Ram relinquishes her because of questions on her purity, she feels freer in the jungle than she did in the palace. She also feels free in the Dandakaranya and chooses to stay in the Ashok Vatika, away from the riches of Ravana’s palace. In juxtaposition to this rendering of Sita, Ram is a prime example of contained masculinity. He is maryada purushottam or the one who always abides by rules. In this case, the rules are the social sanctions that are the foundation of society. It is the ability to distinguish right from wrong and impose ethics on others that makes us human. Ram, through accepting Dashrath’s words and ruling by the book, upholds this notion. The Ram-Sita pair is a manifestation of the nature-culture dichotomy. They are perfectly balanced only when they are married. The woman of the Hindu myths is never acceptable in her individuality but only as her husband’s property. Nature, too, is wanted only as a natural resource. In the Uttara Kanda, when Ram performs the Ashwamedha Yagna, he is asked to place a gold imitation of Sita’s beside him in order to complete the ritual, essentially reducing his wife to her function alone. The implicit control over Sita’s agency is no different from the control of nature by man. There are also cases wherein strong female characters are deliberately ignored or mentioned only briefly. The legend surrounding the river Ganga’s descent on earth is surprisingly direct in its teaching of control. King Bhagirath wanted his ancestors to be freed from the cycle of birth and rebirth by immersing their ashes in the river Ganga. Through immense piety, he is able to persuade the goddess to descend on earth. But the mighty river’s force, while making the journey from the heavens, would have destroyed all living creatures. So, to contain her power, Shiva, agrees to let her flow through his matted locks and let his hair act as a dam for her waters. The river, only through Shiva’s intervention, proves to be useful to Bhagirath and humankind. The channelising of nature by man is a one-way process. The personification of nature as the goddess Ganga, once again, puts the spotlight on what exactly nature means to Hinduism. There are also cases wherein strong female characters are deliberately ignored or mentioned only briefly. The focus of Hindu myths constantly remains on the exploits of the male hero. In the Mahabharata, Hidimba, the rakshasni that the Pandavas come across while in exile, proves to be a good wife to Bhima. But her residence in the forest makes her untrustworthy. Similarly, the Nagas mentioned in the Mahabharata, are always evil women trying to lure innocent men. Contrary to this image, the Nagas were actually regarded as master planners and architects. Their half-breed existence makes them unworthy of attention. In Sita’s case, her rejection of Ram at the end of the Uttara kanda is neglected as an example of exemplary character. Instead, the agnipariksha is glorified. The cult of the gramdevi too fears the village goddess who wreaks havoc on the farmer’s crops and causes natural calamities if angered. She must be appeased and her aggression must be kept under control. The local village deity is usually female and usually feared rather than revered. ‘Wild’ goddesses—Kali and Durga— can be brought to their senses only by male deities or when their thirst for destruction is quenched. Why can’t the female deity be respected like her male counterparts? Why must she be associated with violence? The woman is persistently a background character in male stories of courage. The woman’s subordinate role when transmitted through stories is extremely influential. Hindu mythology has failed to recognise the symbiosis between nature and culture, between man and woman. Previous articleThe Horrifying Reality Of The Pink Tax: Why Does it Cost More to Be a Woman?